Kelley is passionate about helping patients of all ages and abilities return to a pain free and active lifestyle. As a Certified Orthopedic Manual Therapist (COMT) and Certified Strength and Conditioning Specialist (CSCS) she has established a treatment approach that combines manual therapy, movement retraining, and functional strengthening to treat pain and movement dysfunction. 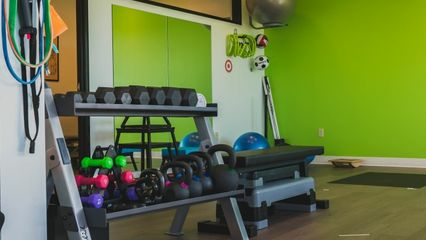 Beyond injury rehabilitation, Kelley focuses on injury prevention and wellness that is achieved through patient education and promoting positive lifestyle changes. As a NCAA collegiate athlete herself, Kelley has a special passion for working with female athletes of all ages and believes that this is truly a unique population with specific needs that often are not addressed. Jenny earned her Master’s degree in PT from University of Texas Medical Branch in Galveston, TX in 2002. After graduation, she moved to Denver, CO and spent 14 years there working in various outpatient orthopedic clinics. She has a wide range of experience from treating high level athletes to chronic pain patients. She has done extensive training with the Institute for Physical Art (IPA). The IPA treatment approach includes manual therapy for the joints, soft tissue, and viscera as well as neuromuscular re-education, postural and body mechanics training. She has experience with running evaluations and recently added a bike fit certification to her bag of tools. She is also certified in trigger point dry needling. Jenny is passionate about getting to the root of problems and not just treating the symptoms. She enjoys working with patients of all ages and abilities in their goals of restoring function and healthy lives. Monica was born and raised in Portland, Oregon. She earned her Bachelors of Arts in Human Physiology, with a minor in Music from the University of Oregon in 2012. She left the Northwest to attend Western University of Health Sciences, where she earned earned her Doctorate degree in Physical Therapy in 2016. She is a certified Kinesio Taping Practitioner, ASTYM™ system provider, and a member of the Oregon Physical Therapy Association (OPTA). She is also currently pursuing her Certification in Manual Therapy (CMPT) with the North American Institute of Manual Therapy (NAIOMT). A native of New Hampshire, Nathan earned his B.S. in Biochemistry from Hofstra University in 2015 and went on to earn his Doctorate in Physical Therapy from George Washington University in 2018. While in Graduate School, he spent two years working with adaptive athletes and climbers. Nathan is a member of the APTA and is currently pursuing his level 1 USA Cycling coaching certification. In his free time, he enjoys mountain biking, snowboarding, rock climbing, photography and hiking outdoors.